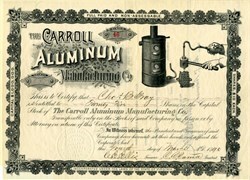 Beautiful RARE uncancelled stock certificate from the Carroll Aluminum Manufacturing Company issued in 1890. 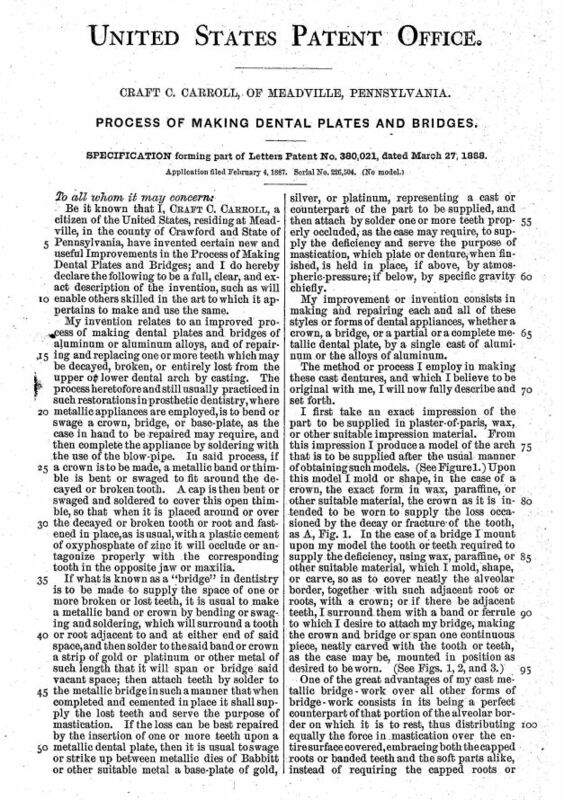 This historic document was printed by the A. G. Gedney, Washington and has an ornate border around it with a vignette of the company's product. 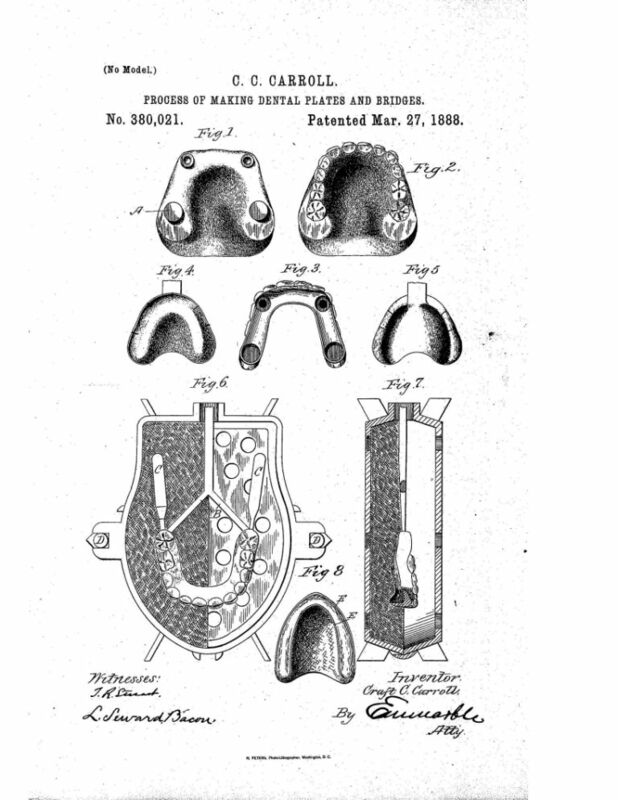 This item has the signatures of the Company's President, Craft C. Carroll, and Treasurer, C. E. Ellis.